This year’s federal election has the sharpest policy divide on higher education for decades. The Coalition offers flat funding and policy tinkering. Labor promises restored demand-driven funding and a major post-secondary education review. The Coalition is without the higher education policy it wanted. Liberal education ministers found themselves trapped between a Senate they did not control and budget constraints. In 2014 Christopher Pyne wanted demand-driven funding extended to diplomas and non-university higher education providers. Offsetting savings of an average 20 per cent cut in per student tuition subsidies replaced by deregulated fees sunk Pyne’s plans. In 2017 Pyne’s successor, Simon Birmingham, tried to protect the demand-driven system with a smaller reduction in per student public spending, with universities partly compensated by increased but still capped student contributions. The higher education sector convinced the Senate to oppose this measure too, a Pyrrhic victory that led to the demand-driven system being terminated and funding frozen. The government lost too, paying a high policy and political price for modest fiscal gain. Declining demand last year and probably again this year would have delivered controversy-free savings on previous expenditure estimates. 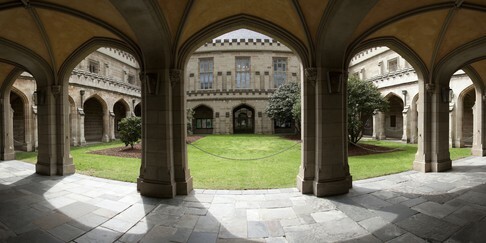 In the diminished policy space left by these defeats, the government offers small funding increments to universities that meet yet-to-be-confirmed performance criteria, new methods of distributing sub-bachelor and postgraduate commonwealth-supported places, and a few regional education initiatives. Incumbent minister Dan Tehan is enthusiastic about regional education. But he has been quiet on the other policies, perhaps because they will not help his party. Labor promises a return to demand-driven funding next year, with teacher education possibly excluded. Opposition education spokeswoman Tanya Plibersek wants higher entry requirements for teacher education courses. Under present legislation, the government cannot directly specify entry requirements for a course. But one indirect method of raising entry requirements, mentioned by Labor, is capping student numbers in teacher education courses. Universities normally admit students based on ranked prior academic achievement, so fewer places would push up entry requirements. The department, rather than demand, would determine each university’s number of teacher education student places. In the short term, the main benefit to most universities of restored demand-driven funding would be payment of CPI-indexed commonwealth contributions for all bachelor degree students, except in medicine and possibly teaching. Performance funding scheduled for next year would not be paid, since it was to be financed by withheld demand-driven funding entitlements. With declining applications for university entry, total enrolments are unlikely to increase, although some institutions would respond to local unmet demand. From the early to mid-2020s the flexibility of demand-driven funding would show its value. That is when the first of the mid-2000s baby boom generation will start looking for a university place. By 2029 there will be 50,000 more 18-year-olds than this year. On current participation rates, that would mean about 20,000 more school-leavers seeking higher education. Universities with large numbers of school-age students in their catchment areas should start planning soon for increased intakes. But recent experience may deter them. Vice-chancellors now realise that their funding can be frozen on a ministerial whim. A key benefit of the demand-driven system in its first iteration — that universities felt confident enough to embark on transformational change — now may be lost. Abolition or modification of the funding freeze power may be needed. This is one of the many issues likely to be examined in Labor’s review of post-secondary education, which will cover vocational and higher education. The first version of higher education demand-driven funding coincided with a chaotic period in vocational education. Particularly in the major cities, enrolment and attainment rates declined in vocational education while growing rapidly in higher education. Although deep cultural forces are pushing up higher education participation, observed around the world in countries with very different tertiary education policies, a review looking at vocational and higher education could help rebalance the tertiary system. 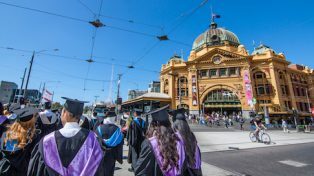 A survey reported in the Liberal-commissioned Joyce review of vocational education showed that many young people plan on taking higher education courses that are unnecessary for their preferred job. Despite the major differences between the parties at this election, tertiary education policy may not be highly partisan in the coming years. The Liberals have no in-principle opposition to demand-driven funding or strengthening vocational education. The Joyce review’s recommendations overlap with the terms of reference for Labor’s review, with the budget handed down this month announcing sensible steps towards better career advice. The major difference between the parties is fiscal priorities. That is a hidden danger for the sector, as the Liberals are likelier to vote for a Labor spending cut than the other way around. But if the money is there, the Liberals probably won’t oppose bringing back demand-driven funding.